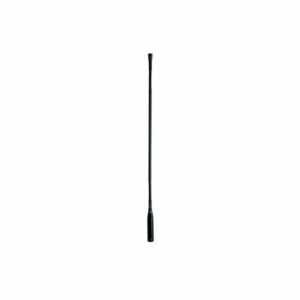 The ADX series is a professional miniature gooseneck condenser microphone designed for applications such as podium, presentation, meetings and teleconferencing. With a uniformly controlled cardioid polar pattern, the ADX12 & ADX18 helps isolate the speaker from ambient noise. The ADX series is available in a hypercardioid polar pattern for tighter pick-up control. The ADX series is desiged with an integrated preamp circuitry built into the base of the XLR. They can be mounted permanently via the supplied flange mount or with an optional base with an internal shock mount (see model ATS10, ATS1, ATS1L). The microphone may also be used on a standard microphone stand using the DCLIP snap to fit microphone holder.